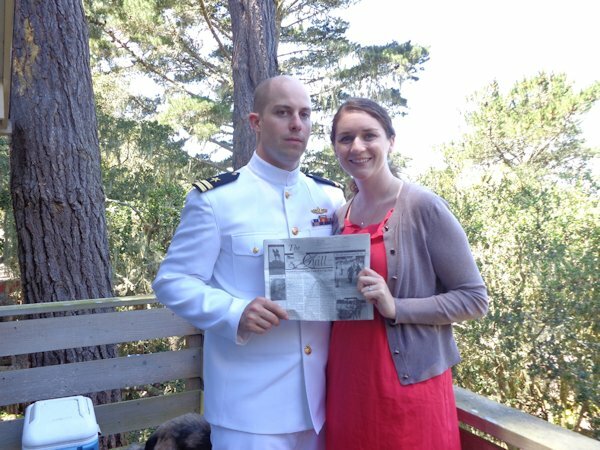 John and Meghan Buss took "The Quill" along after John's graduation from Naval Postgraduate School in Monterey, CA where he received his Master's Degree in Systems Engineering and his Joint Professional Military Education certification. Afterwards, the couple began the trek across country to Virginia for Navy training for a couple weeks and conclude the trek in Newport, RI for his 9 month Department Head Training before heading back to the west coast as he re-enters the fleet aboard the LCS (Littoral Combat Ship) platform-the newest ships in the Navy. John's parents, Dale and Donna, joined them at the NPS graduation.